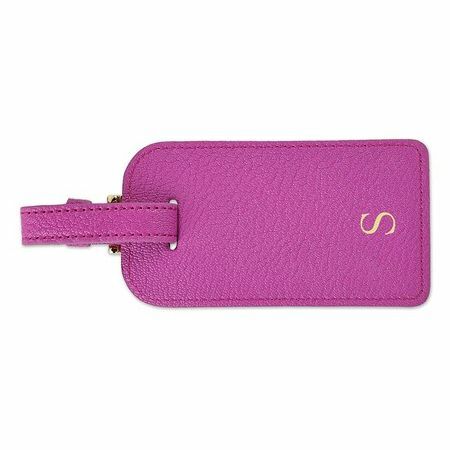 Our luggage tags are both fashionable as well as functional. 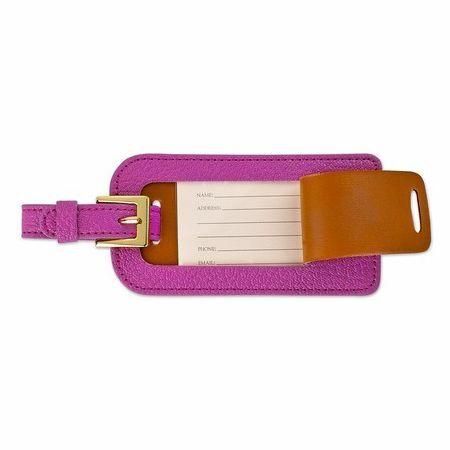 A travel essential, handmade in fine quality goatskin leather. 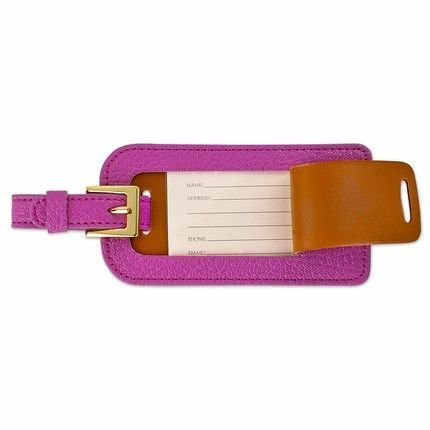 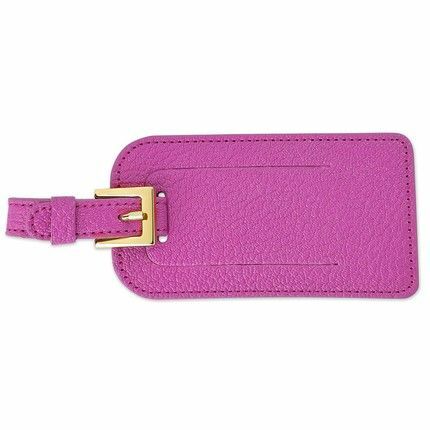 Bright, bold colors help you identify your bag from others while the sturdy bag tag can conceal your identity unless needed. 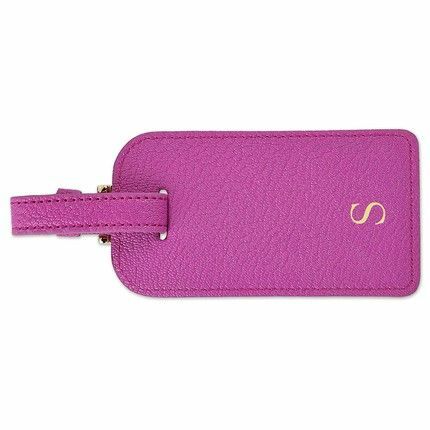 Made with genuine goatskin leather and personalized with gold stamping.